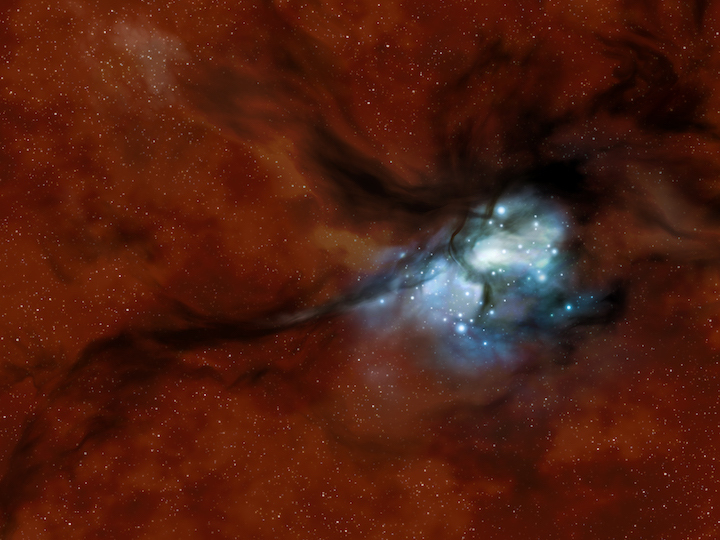 Illustration of a star cluster forming from the collision of turbulent molecular clouds, which appear as dark shadows in front of the background galactic star field. 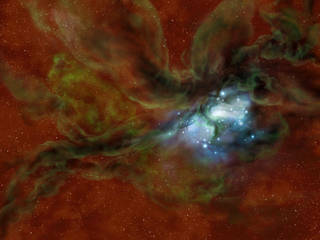 Illustration of the molecular clouds surrounded by atomic envelopes, in green, which have been detected by SOFIA via emission from ionized carbon. The spatial offset and motions of these envelopes confirm predictions of simulations of cloud collisions.